Watercolor paper size is 8" x 11". 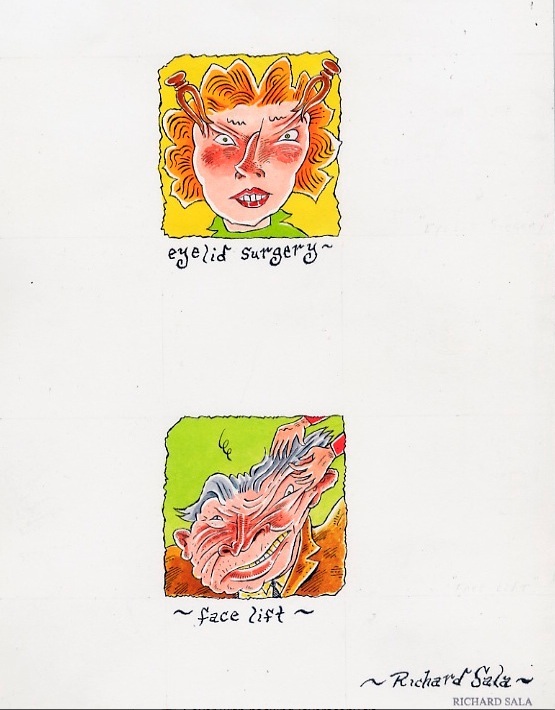 Contains two small (3" x 3") drawings for an article on Plastic Surgery in the 1990s. A copy of the printed article will be included, which contains several more drawings.